A new breed starch based cake toppings/ glazes/jellies/ glazing gels are available in under the brand name of “GLAZE ‘O’ TOP which are purely indegineous best in their class, except from neutral available flavours in this brand are strawberry, pineapple, mango, blueberry, caramel and kiwi ( with kiwi seeds). 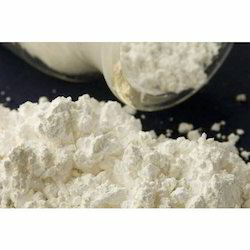 Calcium Gluconate is a mineral supplement. We are one of the leading processors and suppliers of pure range of Glaze, which is highly acknowledged by our clients due to its properties and unmatched quality and taste. Processed using premium quality ingredients and optimum technology under hygienic conditions, the offered product effectively enhances the flavor and aroma of cakes and confectioneries. 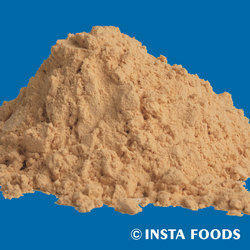 High quality Fenugreek are offered by us that find wide application in culinary and medicines. These spices are the main ingredient of various cuisines and many ayurvedic medicines. The fenugreek offered by us is processed hygienically that retains their natural flavour and taste for longer period. Its used in Soft Drinks and in the neutraceutical (food ingredients). We are offering wide range of Food Ingredients for Pharmaceutical Industry. To cater the various requirements of the clients, we also offer this range accoring to client specification. Clients can avail the offered range at reasonable costs. Sucralose (Solo): Sucralose, an artificial sweetener, is approximately 600 times as sweet as sucrose, twice as sweet as saccharin, and four times as sweet as aspartame...Super Sugar: Super Sugar is a sugar with double the sweetness and is produced by co-crystallizing sugar with sweetener preferably Solo sucralose. Confectionary Arts International Tylose Powder. This products can be used in place of Gum Tragacanth in gumpaste in the exact same proportions. It is the same product as CMC. This will give you a gumpaste that is pure white in color and very easy to work with.